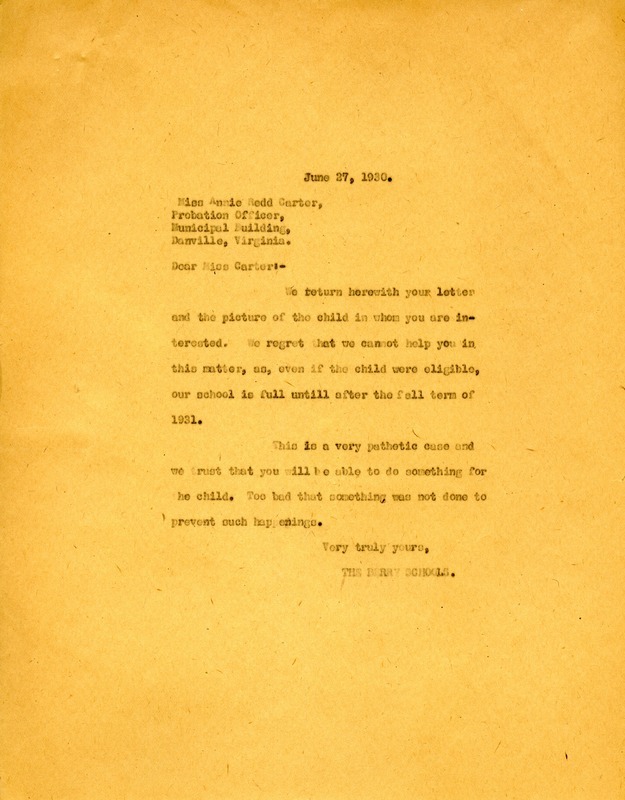 The Berry Schools return Miss Carter's letter and photograph because the child in whom she is interested is not elegible and the schools are full until the fall of 1931. The Berry Schools, “Letter to Annie Redd Carter from The Berry Schools.” Martha Berry Digital Archive. Eds. Schlitz, Stephanie A., Chelsea Risley, et al. Mount Berry: Berry College, 2013. accessed April 19, 2019, https://mbda.berry.edu/items/show/12053.